In May, GFI President Raymond Baker participated in the annual meeting of the Foundazione Centesimus Annus Pro Pontifice at Vatican City. On the second day, Raymond and Lord Robert Skidelsky keynoted the morning and afternoon sessions. Raymond’s session focused on Human Smuggling and Economic Crime. After the meetings concluded, each participant met His Holiness Pope Francis individually. 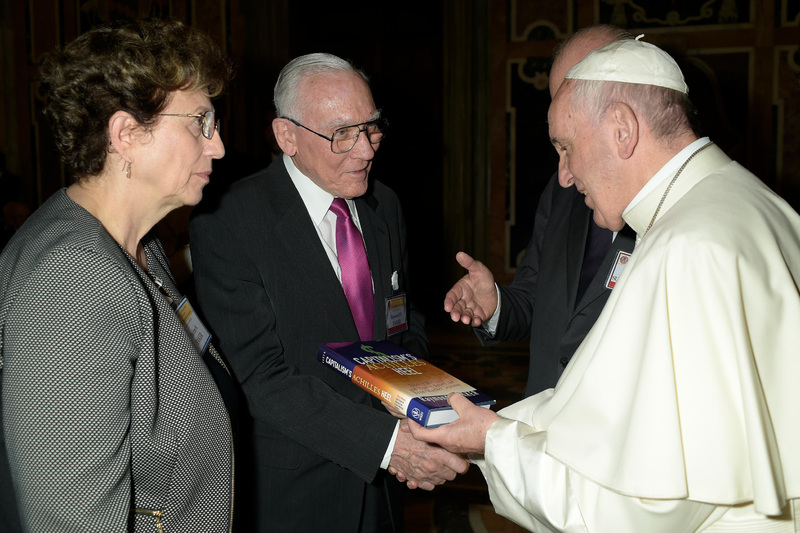 The Foundazione contributes to Catholic social thought through programs at the Vatican and in many other countries. 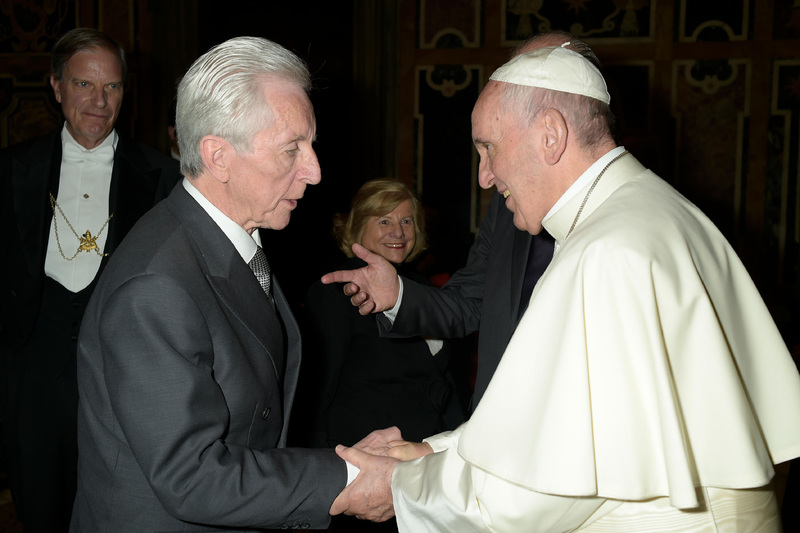 Our chairman Lord Daniel Brennan has been an advisor to the Foundazione for many years. During May and June 2017, GFI President Raymond Baker and Policy Counsel Liz Confalone traveled to Kenya and Uganda, while Legal Counsel & Director of Government Affairs Heather Lowe and GFI partners Jean Mballa Mballa of CRADEC in Cameroon and Okeke Anya of CISLAC in Nigeria traveled to to Benin, Cameroon, Ghana, and Togo to introduce to government officials and civil society organizations the Accelerated IFF Agenda, a document identifying a key measures that can be undertaken by governments to implement recommendations of the High Level Panel on Illicit Financial Flows from Africa, as adopted by the African Union in 2015. 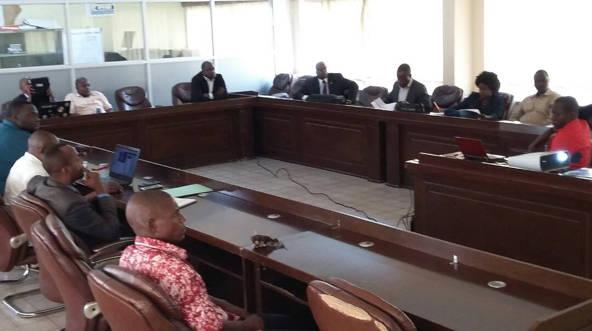 Mballa Mballa continued onward to the Democratic Republic of Congo, meeting with officials from the country’s financial intelligence unit and ministry of state to discuss the project and opportunities for engagement. Our Chairman Lord Daniel Brennan and our President Raymond Baker participated in an excellent one-day conference at Chatham House in London on May 15 focusing on “Illicit Financial Flows: Mapping networks, analyzing tools, disrupting flows.” Dan Brennan’s panel on the consequences of illicit financial flows featured a host of great speakers including Robert Barrington, Executive Director, Transparency International UK, and Adeyemi Dipeolu, Special Adviser to the President on Economic Matters, Office of the Vice President of Nigeria. Raymond’s panel on “Illicit Trade” also boasted great speakers including Phil Mason, Head, Anti-Corruption Policy, UK Department for International Development, and Jonathan Benton, European Director, The Sentry. The conference was supported by Western Union, HSBC, and Thomson Reuters. 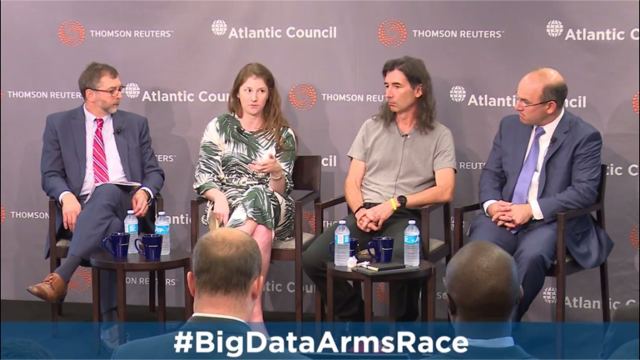 On June 27, GFI Policy Analyst Channing May spoke on a panel at an Atlantic Council – Thomson Reuters event titled “Big Data: A Twenty-First Century Arms Race.” She was joined by fellow panelists Bob Schukai (Thomson Reuters) and Juan Zarate (Financial Integrity Network) along with moderator Todd Rosenblum (Atlantic Council), who discussed the use of big data to fight crime. 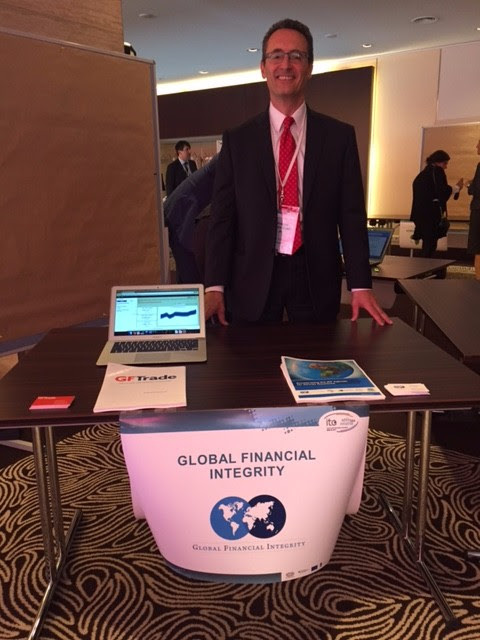 GFI Economist Joseph Spanjers presented in Beirut on May 8-9. 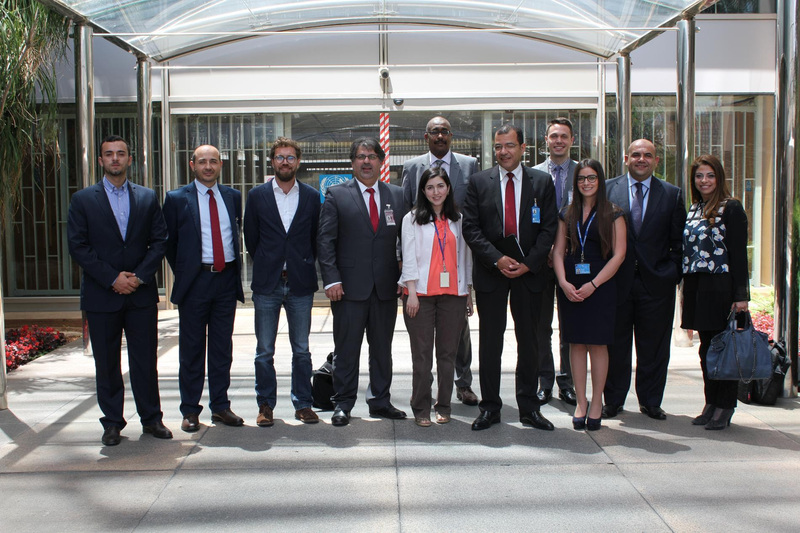 Joseph presented a draft report on trade misinvoicing in the Arab region at an Export Group Meeting held at the UN Economic and Social Commission for Western Asia (ESCWA) in Beirut, Lebanon. More information on the event is available here. On May 12, Program Manager Christine Clough and Policy Analyst Channing May spoke at a closed analytic exchange at the U.S. Department of State put on by the Bureau of Intelligence and Research. 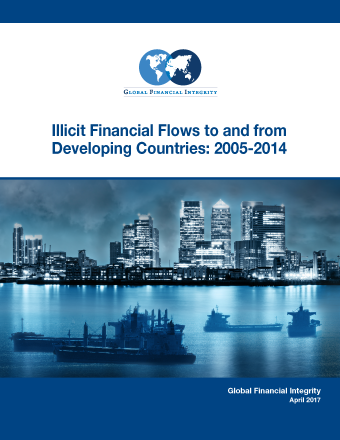 The event, titled “Global Criminal Finance: Assessing the Threat to Markets, Governance and Security,” covered the relationship between transnational criminal markets and global criminal finance. Christine and Channing spoke about the findings from GFI’s recent report, Transnational Crime and the Developing World, and how illegal activities can affect legal markets. 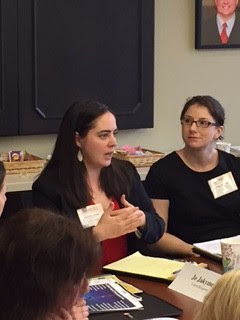 Program Manager Christine Clough and Policy Analyst Channing May were invited by the National Association of Attorneys General to speak at it’s annual International Fellows Program. On June 5, Christine and Channing spoke to an elite group of foreign and American assistant attorneys general, prosecutors, and other government attorneys about transnational crime, particularly the illegal trade in persons and goods. GFI President Raymond Baker attended a conference in Abuja, Nigeria, “Promoting International Co-operation in Combating Illicit Financial Flows and Enhancing Asset Recovery to Foster Sustainable Development” organized by the Presidential Advisory Committee Against Corruption and the Permanent Mission of Norway to the United Nations. Keynoting the conference was Akere Muna from Cameroon, a member of the High Level Panel on Illicit Financial Flows from Africa, led by former President of South Africa Thabo Mbeki. Raymond Baker headlined the next day alongside the Honorable Minister of Finance of Nigeria, Kemi Adeosun. Additional speakers included Ambassador Segun Apata, a member of GFI’s Africa Advisory Group and also a member of the Mbeki Panel, Olav Lundstøl, Policy Director on Tax and Capital Flight at Norad, and Simon Taylor, Co-Founder of Global Witness. GFI Senior Economist Matthew Salomon spoke to Casey Michel of Kleptocracy Initiative on KleptoCast: Following the Financial Flows. Matthew addressed global illicit financial flows and how to curb them. The interview came on the heels of GFI’s latest IFF update expanding on the danger, volume, and consequences of anonymous companies. 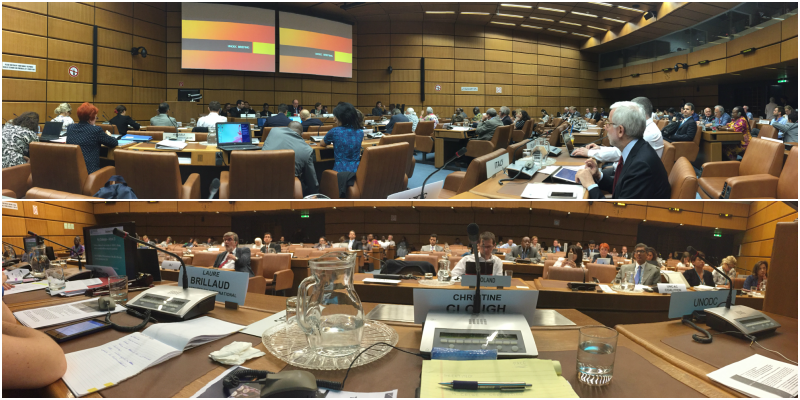 On June 22, Program Manager Christine Clough attended the civil society day of the 8th Session of the Implementation Review Group for the UN Convention Against Corruption (UNCAC) at the UN in Vienna. Representing GFI and the UNCAC Civil Society Coalition, for which Christine sits on the Coordinating Committee, she also presented highlights from GFI’s recent transnational crime report as it relates to corruption. From May 24-May 26, 2017, Legal Counsel & Director of Government Affairs Heather Lowe presented on three panels at the “Tackling Illicit Financial Flows: An African approach to a global problem” conference in Yaoundé, Cameroon, funded by GIZ and organized by the Good Financial Governance (GFG) network, which includes the African Tax Administration Forum (ATAF), the Collaborative Africa Budget Reform Initiative (CABRI) and the African Organization of Supreme Audit Institutions (AFROSAI). One of the outcomes of the conference was the “Declaration on Curbing Illicit Financial Flows through Good Financial Governance”, committing the GFG network to active engagement on IFF issues in their work. GFI Managing Director Tom Cardamone attended the International Tax Compact/Addis Tax Initiative Tax and Development Conference in June. The purpose of the conference was to examine new developments in domestic resource mobilization and to give attendees an opportunity for collaboration and to discuss best practices. During the “Marketplace” period Tom gave demonstrations of GFTrade, our cloud-based database which assists customs departments in tackling trade misinvoicing to boost revenue for development. Malaysian Money. Opulent Ideas. But Now, for Park Lane, a Forced Sale. We’ve had a busy second quarter and look forward to a busy rest of the year. In the coming weeks, GFI Managing Director Tom Cardamone will be speaking at a conference in Nigeria. In addition, in the early fall a new report will be released. Thank you for continuing to support and engage with us!